Over a six year period, a NZ VN Health Trust project transformed eye surgery practices at Qui Nhon's Leprosarium at Quy Hoa. Leprosy effects eye nerves and stops a patient's eyelid from shutting and functioning properly. Trustee Dr David Morris recalls Quy Hoa Hospital director Dr Nguyen Thanh Tan mentioning that his patients were having this trouble. "The Trust realised that if we could send an eye surgeon to do a very straightforward operation, we would transform lives. It was one of the Trust's original projects - it was groundbreaking." 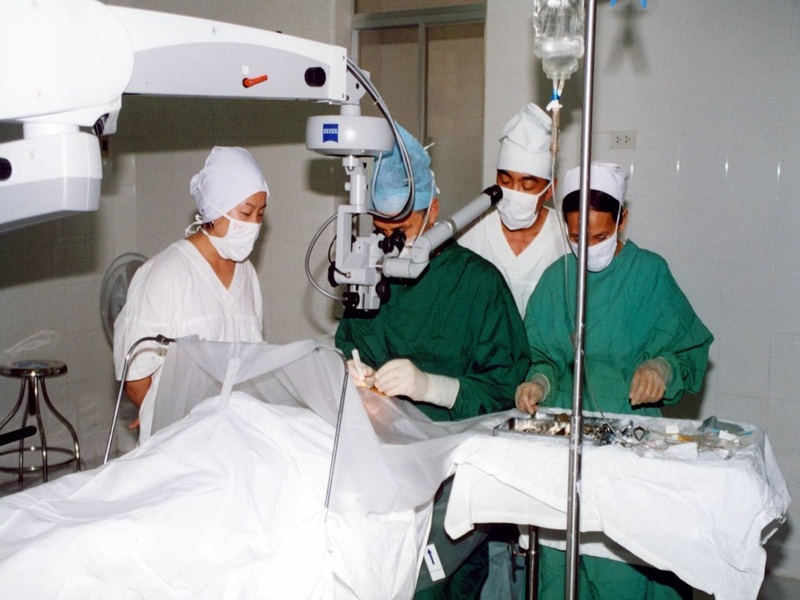 ​Eye surgeon John Chapman-Smith and ophthalmologist Neil Ritchie first worked in Quy Hoa's very delapidated theatre. "It was a dreadful place to do eye surgery. The Trust extended its efforts into improving equipment, theatres, and teaching local surgeons how to perform eyelid and cataract surgery using a modern operating microscope. Within just six years the vision of so many people was restored, and eye surgery practices were transformed."